Going to the movies for most families is a fun experience. Dark theatres, bright and 3D screens and HD sounds fill the up the room to make it feel like the audience is in the story. But for families with children who have disabilities including autism or sensory processing disorders, this experience could be very negative. According to the AOTA, 1 out of every 20 children is born with sensory processing difficulties. For these children, the volume of sound in a movie theatre is extremely loud and even frightening. To solve this issue the Central Early Childhood Direction Center and occupational therapists in New York thought outside the box. 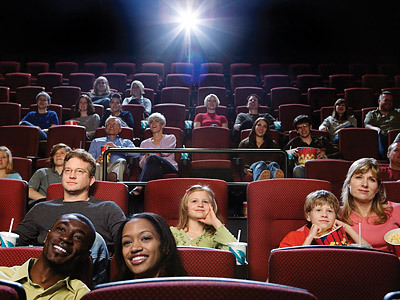 This past summer, the organization screened the Disney movie Cars 2 at a local theatre, but they kept the lights on and allowed the children to move around the movie theatre at any time. With these added levels of comfort, children and their parents were able to enjoy their movies much more than a regular screening. To read the article about movie screenings for children with sensory processing disorders, click here. Interested in a career in Occupational Therapy? Visit Stanbridge College to learn about the Occupational Therapy Assistance program.